Step aside, Defenders. There’s a new hero in town to save the day, if he’s feeling up to it. 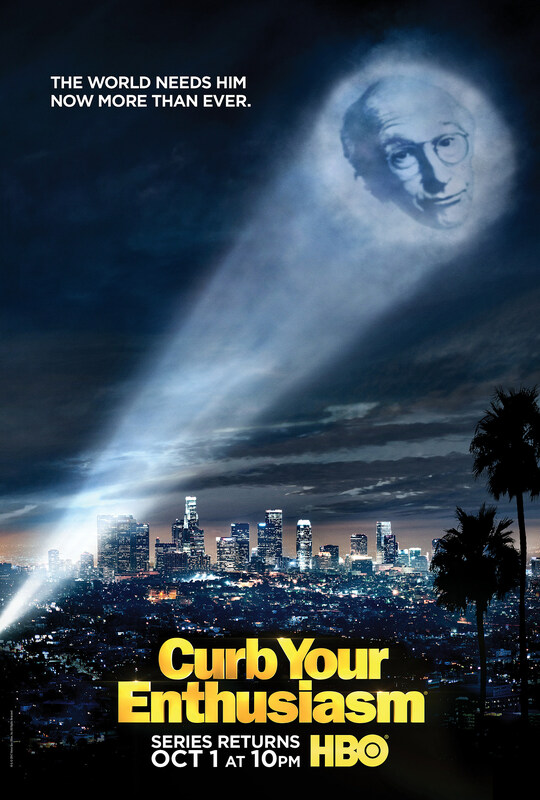 Larry David becomes the hero we deserve, and the one we need, as a new Curb Your Enthusiasm Season 9 teaser and poster shines into the night sky. Elsewhere, Curb Your Enthusiasm Season 9 will feature among the returning cast Cheryl Hines as Cheryl, Jeff Garlin as Jeff, Susie Essman as Susie and J.B. Smoove as Leon, along with prior guests Richard Lewis, Bob Einstein, Ted Danson and Mary Steenburgen. New stars include Elizabeth Banks, Ed Begley, Jr., Portlandia lead Carrie Brownstein, Bryan Cranston, Gilmore Girls star Lauren Graham, Jimmy Kimmel, Parks favorite Nick Offerman, SNL alum Nasim Pedrad, and Elizabeth Perkins. Season 9 directors include Jeff Schaffer, Larry Charles, Robert B. Weide, Jessie Nelson and Bryan Gordon. Additionally, Schaffer will take a leading executive producer role in the new run between fellow alum David Mandel (Veep) and Alec Berg (Silicon Valley). We’ll hopefully see real footage before long, but stay tuned for the latest on Curb Your Enthusiasm Season 9.